28th February 2017. 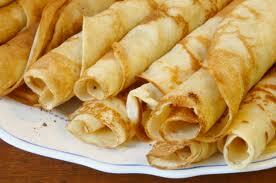 Shrove Tuesday is a day of celebration as well as penitence, because it’s the last day before Lent. Lent is a time of abstinence, of giving things up. 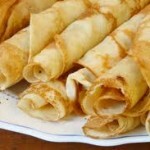 So Shrove Tuesday is the last chance to indulge yourself, and to use up the foods that aren’t allowed in Lent. Giving up foods: but not wasting them. In the old days there were many foods that observant Christians would not eat during Lent: foods such as meat and fish, fats, eggs, and milky foods. So that no food was wasted, families would have a feast on the shriving Tuesday, and eat up all the foods that wouldn’t last the forty days of Lent without going off. The need to eat up the fats gave rise to the French name Mardi Gras; meaning fat Tuesday. Pancakes became associated with Shrove Tuesday as they were a dish that could use up all the eggs, fats and milk in the house with just the addition of flour.